Before starting your search for a new home, you must understand how much house you can afford. If you do a quick search for “how much house can I afford?” you will find a few mortgage calculating tools. While these are helpful, they do not tell you what goes into the calculation. So, while you can input the numbers and see, you still need to understand how these numbers calculate your house price and then think realistically about your financial situation. 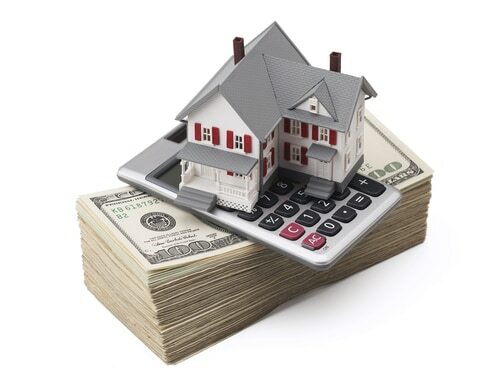 Lenders will look at your monthly and annual salary to assess your affordability. They do this through the debt-to-income ratio calculation. The Consumer Financial Protection Bureau says that the maximum debt-to-income (DTI) ratio for lenders is 43 percent. However, this number can vary, and some lenders, as well as types of loans, carry stricter DTI requirements. Within the CFPB study, they found that borrowers with a higher DTI are likely to find themselves in trouble financially, and the 43 percent mark is the highest most qualified mortgages approve at. Larger lenders could agree to a higher DTI, but that would be on a case-by-case basis and only in specific situations. The CNN calculator estimates that the largest DTI a consumer should carry is more at 36 percent. While your DTI plays a significant role in how much you can afford, there are other factors too. These factors vary from lender-to-lender, which is why it is recommended that you shop around and explore different loan types before assuming you cannot afford a house. Read on for a good rule of thumb for how much house you can afford. 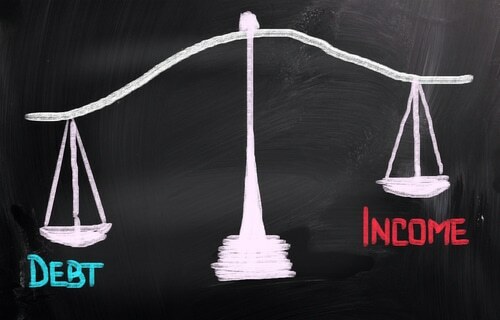 The debt-to-income ratio is the first thing potential lenders assess. They ask for a list of your monthly debt obligations, such as your student loan payments, and credit card payment minimums. Investopedia states that your gross monthly income is the most common calculation, but some lenders are now using the net income to determine affordability. Your housing expenses, such as the mortgage, mortgage insurance, homeowner’s insurance, and property tax should not exceed 28 percent of your total income. When it does, you may not be approved for the loan. 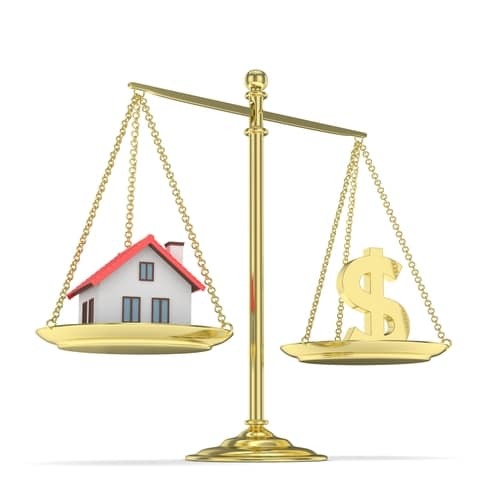 If you’re asking yourself “how much of a house can I afford,” remember your credit situation also determines how much of a house you can afford. Even if you have a favorable DTI, if your credit score is too low, you may not qualify for an expensive home (if at all). You may also have a higher interest rate attached to your loan, which increases the monthly payment. Therefore, you should request a Good Faith Estimate from the lender to see what rate they are quoting you based on your credit history and score. Even if the above two numbers work out in your favor, you must consider down payment requirements. The amount of a down payment varies from each lender and depending on your credit score; you may be required to supply a higher percentage. Minimum down payment is three to five percent, says Credit.com. There are very few lenders that offer 100 percent financing. In fact, loans through the United States Department of Veterans Affairs are one of the few not to require any form of a down payment from buyers. Bankrate.com states that the other types of mortgages that do not require a down payment include the U.S. Department of Agriculture under the Rural Development Program, Navy Federal Credit Union, and Department of Veterans Affairs. For the FHA in 2017, a credit score of 580 or more qualifies for a 3.5 percent down payment, but a credit score under 580 could require 10 percent for a down payment. Some lenders do provide the option of taking a second loan to cover the cost of the down payment, but this is typically for first-time homebuyers or those that qualify for a special mortgage program. Lastly, there are the fees. To purchase a home, you may have to pay for a home inspection, appraisal, credit report, and more. These are in addition to your down payment, and some lenders require the fees paid upfront when applying for the loan.